My currently crushing is coming a little late, but I couldn't resist popping on here quickly to share this newly-discovered cold-weather essential. I don't own it yet, but it's just a matter of time. 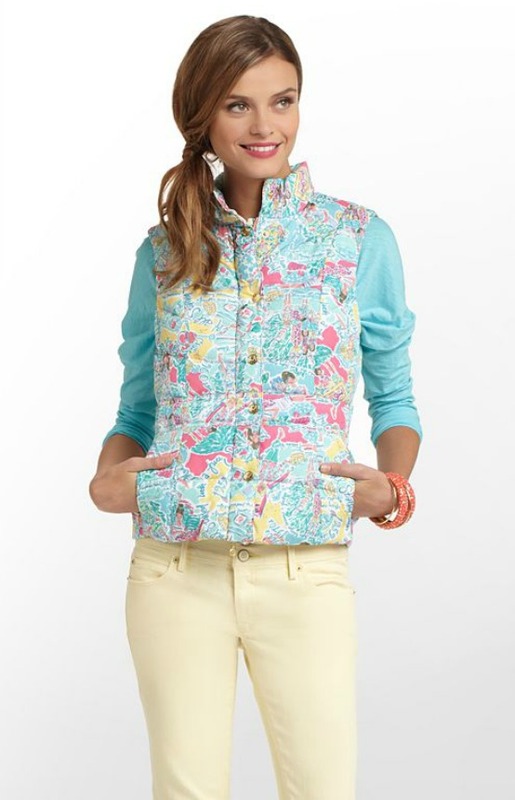 I first came across the Lilly Pulitzer Puffer Vest on Laura's blog and fell fast in love with the "in the beginning" print. Surely this would brighten any winter day?! Hope your Wednesday has been wonderful, friends! Lol!! I had to order the tote bag and make up bag in this print from the SALE! The hubby ala Santa had the J crew pink vest and a navy RL vest under the tree! He also had the matching Sperry boots in pink! Gotta love that! 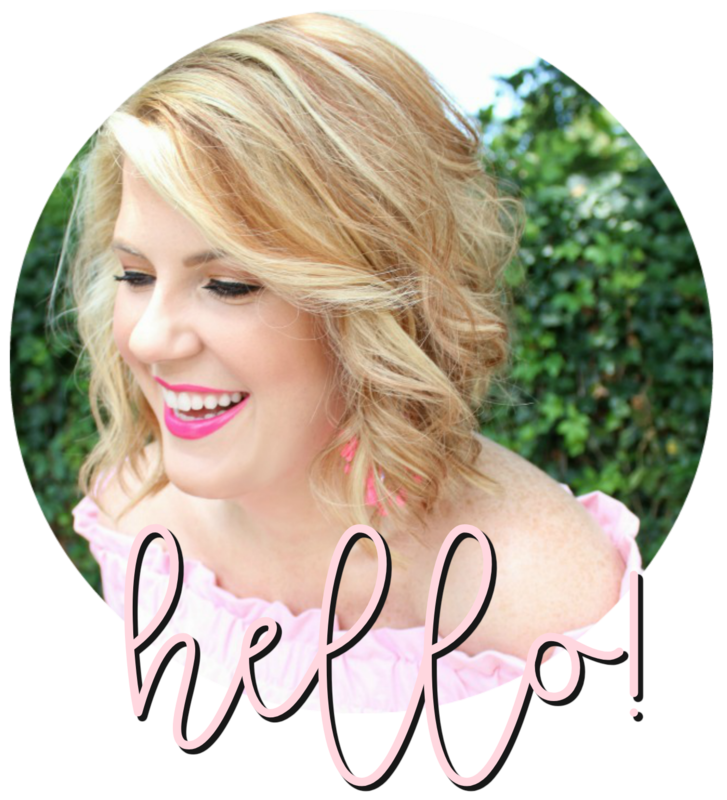 I am sporting my pink vest and boots tomorrow with khakis and a navy polka dotty button up. Fun! OMG I had not seen this yet. It's adorable. 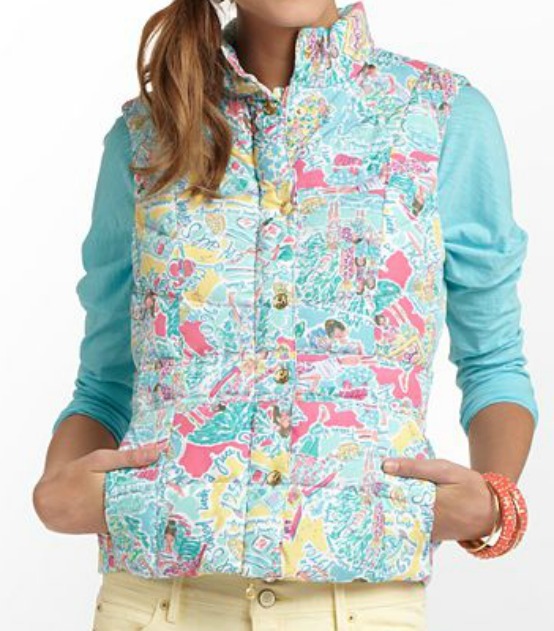 Back in the day, Lilly had vests with the print inside but I've never seen the print outside! Love it! I loooooove their vests! I have the white one and I can't take it off, it's great! That is so adorable! Love it!